My sincerest thanks to Dr. Greg P. Smestad for the information and images he has provided, on which this chapter is based. 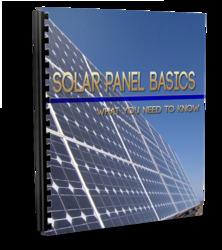 In addition to the photovoltaic solar cells that we have seen earlier in this book, there are other ways of generating electricity directly from the sun. We saw how photovoltaic solar cells rely on the photovoltaic effect that occurs at semiconductor junctions, and how the semiconductor performs the two jobs of absorbing the light and separating electrons. One of the problems with this approach is that, because of the sensitive nature of the cells, they must be manufactured in ultra-clean conditions in order to be clean and free from defects which might impede their operation. This works effectively; however, it is expensive. 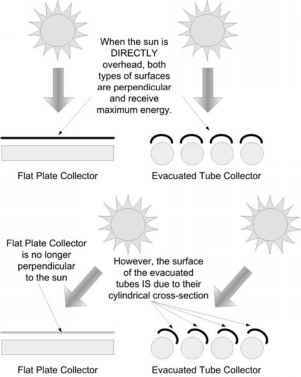 The thing about photochemical solar cells is that they use cheap technology. Titanium dioxide is not some rare chemical that requires expensive processing, it is already produced in large quantities and used commonly; furthermore, you don't need an awful lot of it—only around 10 g per square meter. When you figure that this 10 g only costs two cents, you begin to realize that this is a solar technology with a lot of promise for the future. In an attempt to make solar technology cheaper and more accessible, Michael Grätzel and Brian O'Regan from the Swiss Federal Institute of Technology decided to explore different approaches to the problem.